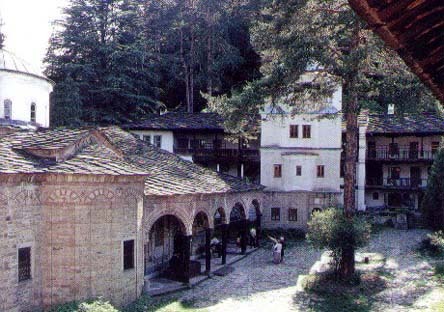 Troyan monastery. Tourism in Troyan, Bulgaria. 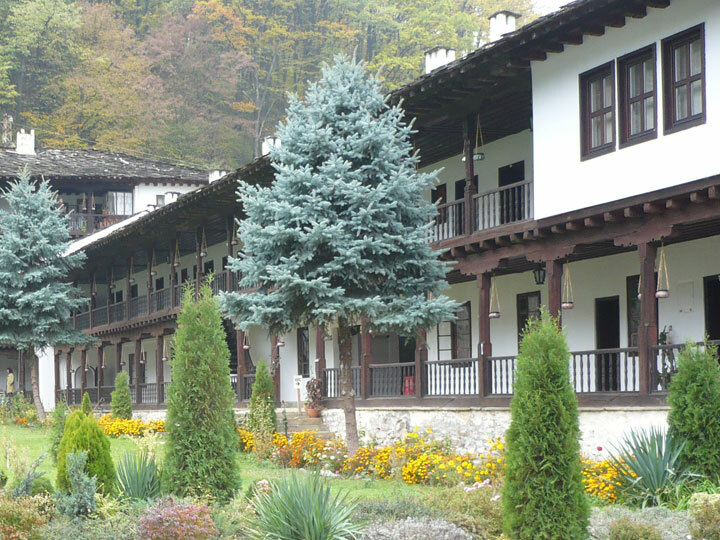 About 10 km south-east from the pictoresque town of Troyan, is located one of the centres of the Bulgarian - the Troyan monastery. Unknown Bulgarian, a monk from the Aton monastery in `Sveta Gora`, established a little wooden church and several houses for monks 1600 y. In the dark years of the slavery the Bulgarian Renaissance gain strength. 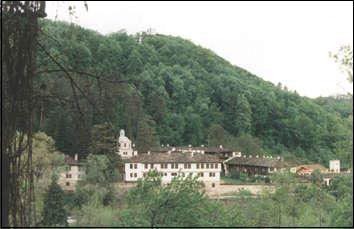 In the beginning of XIX century the monastery become well-off. There is a reconstruction. On the place of the old buildings the master Konstantin from Peshtera create a artistic architecture ansamble with Renaissance spirit. On the south wall of the church the constructor left his stone portrait - mask. In the present state the wall-paintings and the icons are made by the remarkable artist Zahari Christov Zograf, also by his little brother - Dimitar Zograf and by masters from Triavna. With painting in the icons of the Bulgarian saints, heroes and fighters for national independence, the artists express the national speciality and thirst for independence of the Bulgarian people. Next to the image of Snt Kiril and Snt Metodii, tsar Boris and patriarch Evtimii, the visitor can find the images of Teodosii Tarnovski, the image of Ivan Rilski and the images of the Russian saints Boris and Gleb. In the church, Zahari Zograf has left for the generations the images of the ktitors of the monastery. The carvings on the iconostasis in the church is very beautiful and dexterous. There is a monastery school from 1869 y. that amazed the Austrian traveller and artist Feliks Kanic. With this components the monastery has had a great role during the Renaissance. In the years of fight for national independance, Vasil Levski has slept here many times. Here he has established a revolutionary committee. It is leaded by the abbot of the monastery - hadji Makarii. Today the thousands of visitors of the monastery bend down their head for the fighting acts of the Bulgarian national spirit that here could be felt by a specific way and with a specific power. The visitors are amazed by the beuty - born by the hands of Renaissance masters. The visitors can feel the harmony and the folk-style architecture ansables. 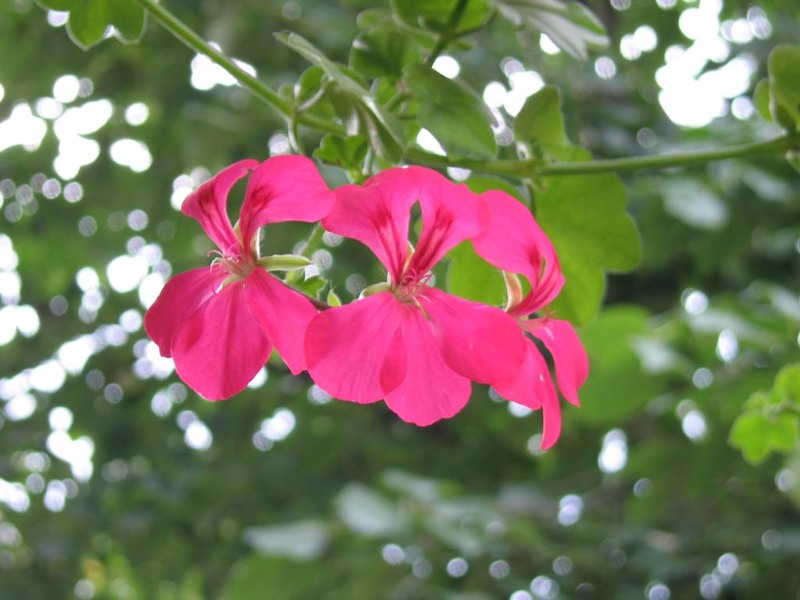 The visitors can feel the future of a free and audacious people.